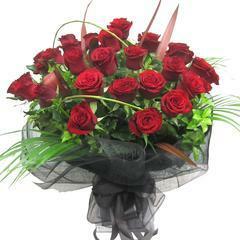 Flower Delivery in Auckland - Gifts | Top 20 Best Sellers | Best Blooms Florist Auckland N.Z. 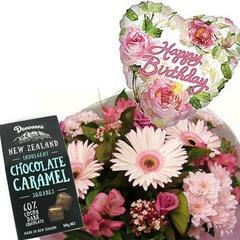 Birthday Gifts - Free Delivery Auckland! 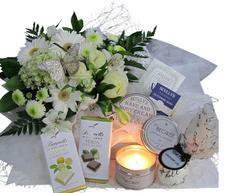 Flowers, Gift Baskets, Pamper Hampers, Plants ... More >> Beautiful Flowers ... Free Delivery in Auckland! Choose from our Top 20 Favourites - Best Sellers! 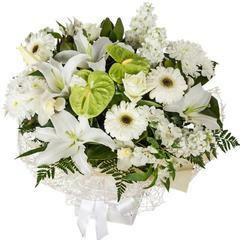 Sympathy and Funeral Flowers Auckland Send your caring thoughts to the bereaved Today. thank you kindly, such a pleasing service you provide. Oh wow you are the first florist I’ve ever known to send photos – what a fantastic idea. They look amazing and will definitely be using you again (although next I hope I am sending flowers for a happier occasion). Thank you very much for the beautiful flowers and chocolates you delivered to my mother last week. She absolutely loved them and said it was the best Birthday gift she had ever received. I will be recommending your company to friends and family for all their gift giving ideas. FREE DELIVERY! Yes - You can have same day flowers delivered Auckland wide if you order by 10:30am for Business and 2:15pm for Hospitals or Home Address. (Mon- Fri). Saturday Flower Delivery - Order by 10:00am Saturday. Sunday Flower Delivery -;Sorry our shop is Closed Sundays. Best Blooms is an Award-Winning florist, centrally located on Rosebank Road, Avondale, West Auckland, New Zealand. We are proud to be a previous TOP SHOP WINNER and can send Bouquets, Arrangements, Birthday Gifts, Anniversary Presents, Helium Balloons, Valentine's day Roses, Mother's day Gifts, Christmas Hampers and provide Flower Delivery Auckland wide. Yes we are a real local flower shop - Our florist & store is located at 1/653 Rosebank Road, Avondale, West Auckland. Prices include FREE DELIVERY Auckland wide. Same Day. With four dispatches a day, made by professional florist couriers, who are experts at handling floral arrangements, Gift Baskets, Plants, Orchids, Roses, Peonies, Balloons, Posies and other beautiful seasonal gifting. We will have your fresh flowers delivered on-time, throughout Auckland City & suburbs. 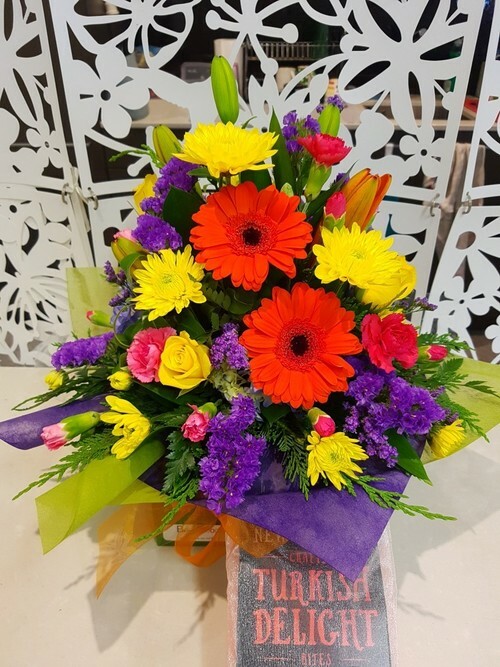 Best Blooms company focus is on our own city of sails, we know and trust the floral couriers ourselves, this makes it much easier tracking your delivery and allows us to send gifts and flowers in Tamaki Makaurau. 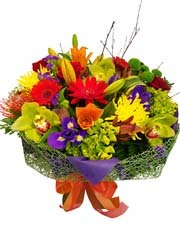 All areas and Suburbs - flowers delivered West Auckland, Manukau, North Shore, CBD, and most areas are Free Delivery. Winners of Auckland's Top Shop Award. Our experienced floral team are trained professional florists holding N.Z.P.F (New Zealand Professional Florists Society) Qualifications plus certificates from the New Zealand Horticulture Society. They are passionate about floristry, and you can see the joy as they arrange buds & blooms, blossoms, branches, flowers and foliage using their creative artistic flair, to design a special gift for you. You may prefer calling us on +64-9 838 9058. We are happy to help by phone, where you can speak with a real florist, asking any questions you have. Rock-Solid 100% Guaranteed. Our team stands behind our company name - Best Blooms - You can trust us to deliver your Flowers & Gifts on time, as promised. Every one of our gift deliveries are dispatched with our Personal Guarantee - "We want both you and the recipient to be delighted!" Send Flowers - Send Smiles! You have received a beautiful bouquet of blooms- Hooray! Now... How do you make them live as long as possible? Sometimes when ordering flowers, the hardest thing to think about is the perfect message to go on your card. We have a list of helpful suggestions for gift card messages, quotes, well wishes, sayings and poems to convey your feelings. Remember that a message or sentiment that comes from you heart is bound to be beautiful! At Best Blooms us Florists love Flowers - it's a Fact!... But What's the Difference between N.Z. grown flowers and Imported Blooms? When you are looking for Wedding Anniversary gift ideas, whether for parents, aunties and uncles or close friends. Often people start with the traditional Anniversary gifts by year, as a place for inspiration for the perfect present. Here is the list of Anniversaries from the 1st Anniversary till the 10th and then 20th, 25th, 30th, 40th, 50th and 60th Wedding Anniversary gifts. Become a BloomsPlus Member and you'll earn points that you can redeem off future purchases.